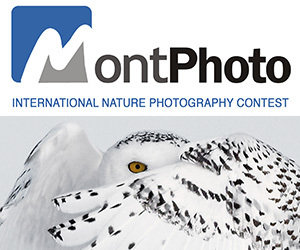 PRIZE DETAILS: -You will receive a free year with a stunning Format portfolio. A Completely Customizable Online Portfolio Website. Format online portfolio websites are easy-to-use, intuitive and customizable. -From our friends at Blurb, you will receive US $100 voucher to create a beautiful book. The process is fun, the results are stunning. You can choose from a range of formats including photo books, trade books, magazines and ebooks. -All of the Shoot The Frame winners will be have their photographs exhibited at the International Indian Photo Festival. We partnered with IPF in 2017, and have created an official Shoot The Frame exhibition for 2018. We can’t wait! -We have partnered with Canva! All winners will receive 33 credits towards your next Graphic Design project. Canva gives you everything you need to easily turn ideas into stunning designs. Amazingly Simple Graphic Design. -Affinity Photo are onboard as a partner! These guys have created an incredible professional platform for editing photos on Mac. Winners will receive a download of the Affinity Photo Software, valued at $49.99. The game has changed. -All winners will have their work published in Fotomgz India, along with a dedicated interview. Fotomgz India is a growing platform that is sure to increase your exposure as a photographer. Not eligible to enter? - Find contest where you are. COPYRIGHT: If you submit an image, the Organiser reserve the right to free reproduction of entered images in all media, but only in connection with this contest and related products. The copyright will, at all times, be respected by the Organiser and retained by the photographer. Where an image or images are reproduced by Shoot The Frame, the photographer will usually be credited. The Organiser reserves the right to send emails promoting the contest. We hate spam too, so if you don’t want to receive it, simply opt out of the email. USAGE RIGHTS: Shoot The Frame neither assumes nor bears any responsibility for any form or type of loss, damage, or injury incurred as a result of participating in the contest and receiving of awards and/or prizes. Content of all images submitted is the responsibility of each entrant. It is the responsibility of each entrant to obtain all relevant model and/or property releases. 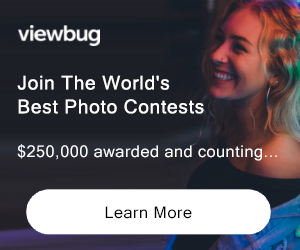 By submitting images each entrant assures that all images are their original works and no copyright and/or trademark infringement rights have been violated. It is not the responsibility of Shoot The Frame to obtain model and/or property release forms or to assure/examine protection of trademark infringement rights.